V. late but I remembered how to skip the tutorial on mobile. 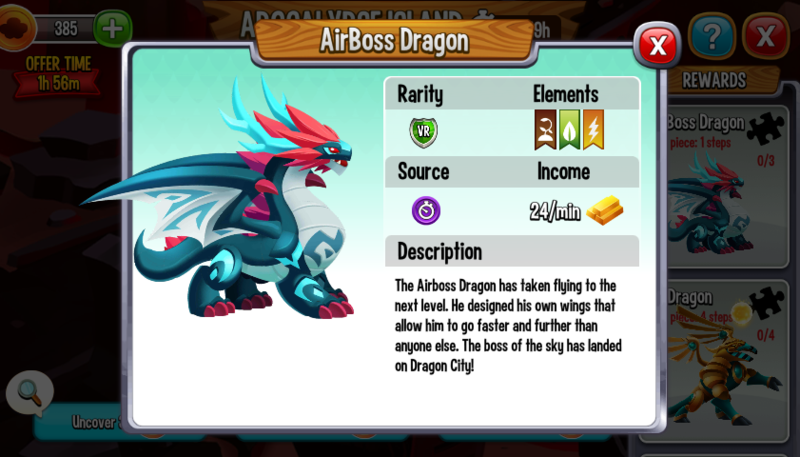 I already have a couple Airboss dragons, so I won't be needing any more. How do you skip the tutorial.....I don’t want to waste any of the grid/fog coins on it anymore? 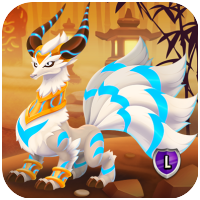 @jdkrv Hello, to skip the tutorial on mobile phone, launch the tutorial, grab the first piece, and quit the game. Maybe it work if you restart before grabing first piece. 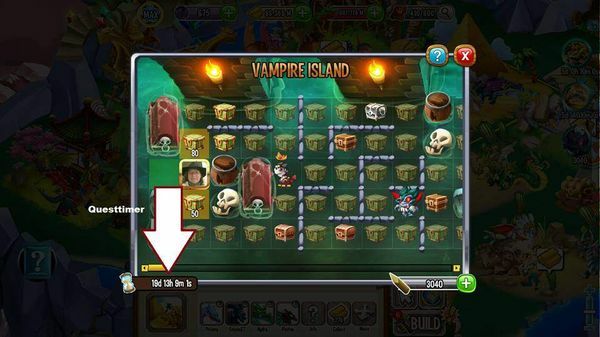 any idea when will map posted for this island ? 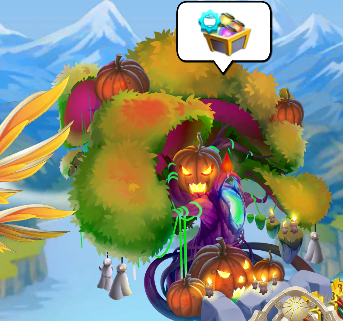 where can we get items for skull event? a bit details can be helpful. 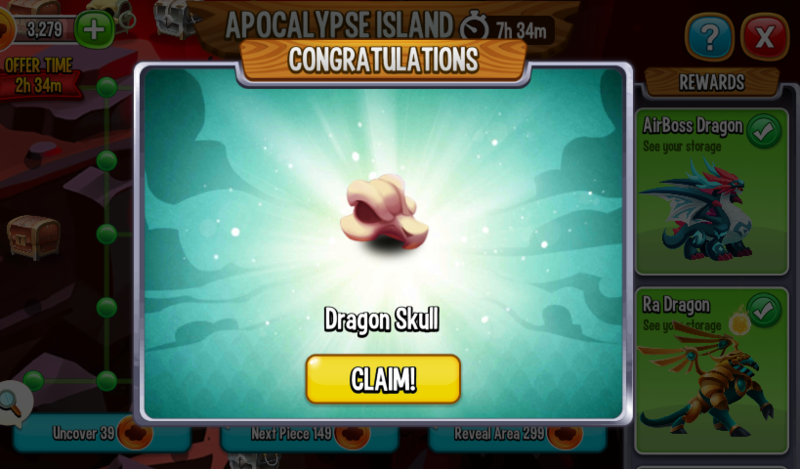 As to the skull event it was explained quite well. The skulls will be available through a variety of means. 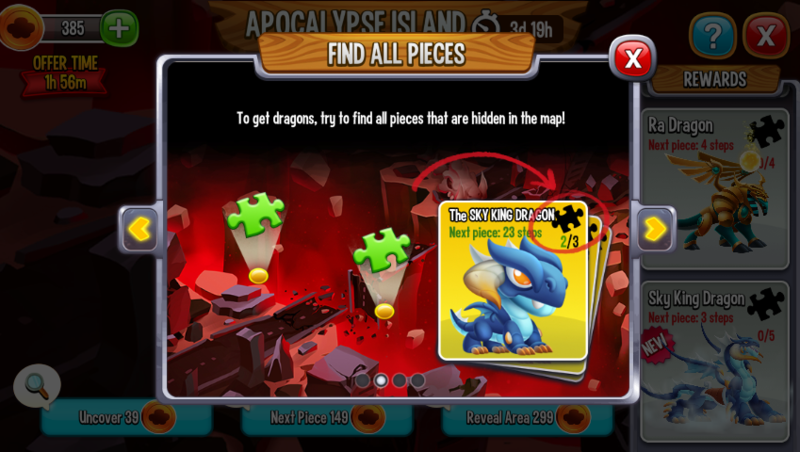 You will be able to collect them through chests in Apocalypse Island, through tournaments, by watching videos on Freebie Island (mobile only), through card packs that you purchase or you can purchase them in the shop under the decorations tab. 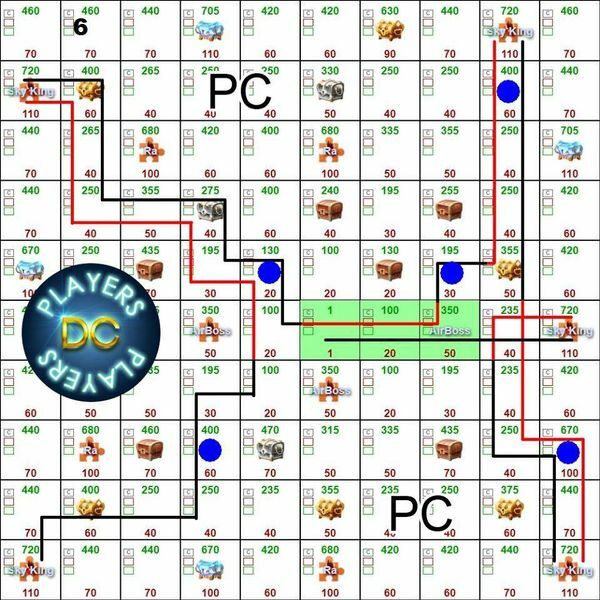 Here are some maps. We can collect 10080 coins in total (coins we can get from watching trailrs in freebies are not included). 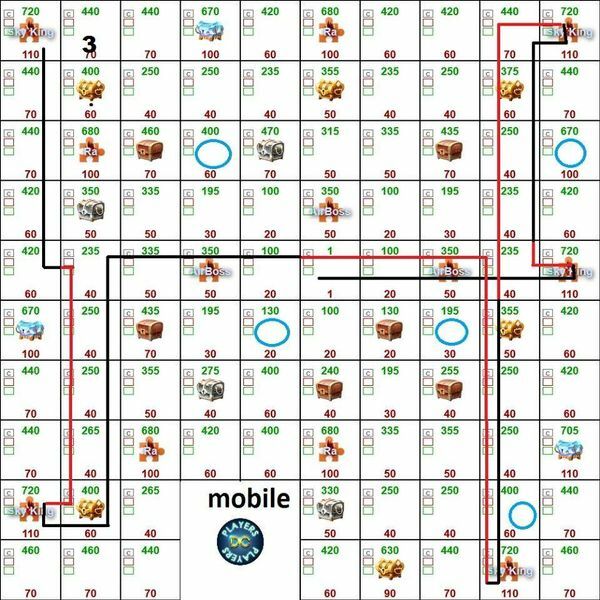 I put numbers on the maps (upper left corner) and will explain what is what. The blue circles show where the skulls are. 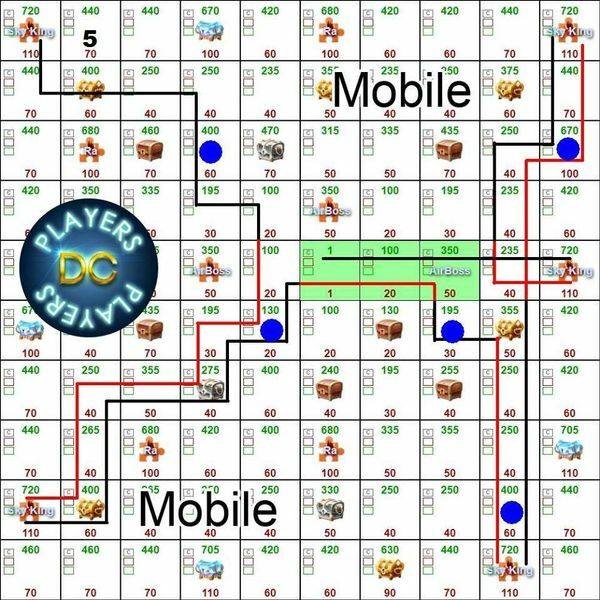 Maps for pc and phone are different. 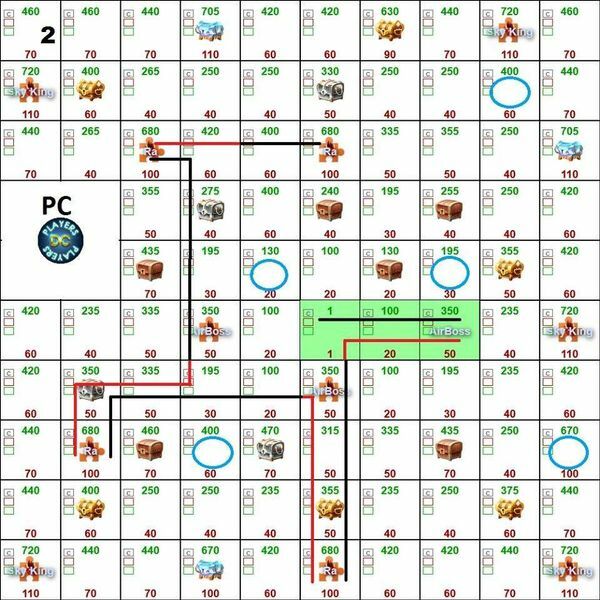 Thats why there are two maps for each path. 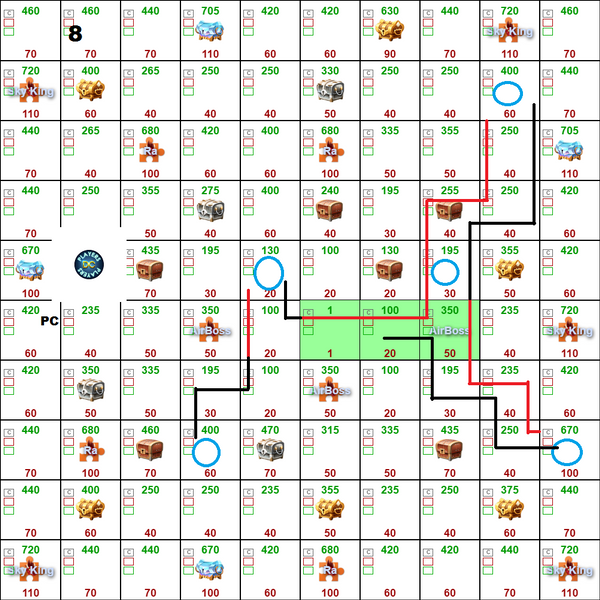 1 + 2 : These maps are for AirBoss and Ra. 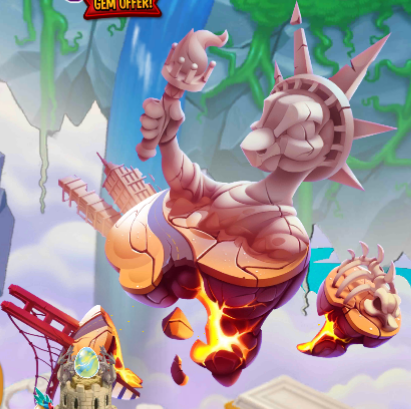 We need 7171 coins for it. 3 + 4 : These are for Sky King only. We need 11486 coins. So we have to buy coins to get it. 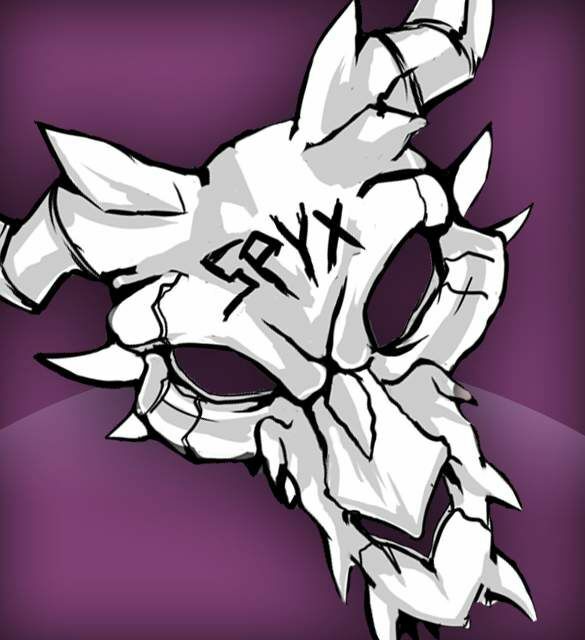 5 + 6 : That maps are for Sky King plus all skulls. We need 12226 coins for that path. So we have to buy more for this way. 7 + 8 : That maps are for skulls only. 4476 coins needed here. @Bettina-Löffler thank you so much to you and your team, we appreciate your hard work. 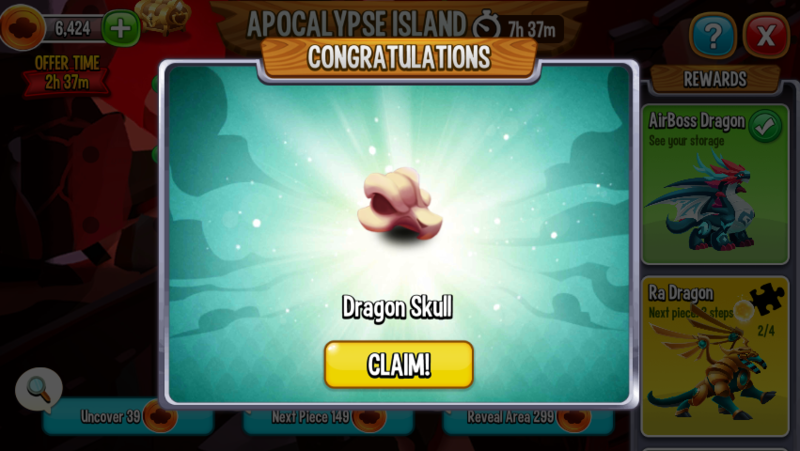 I only want Sky King and maybe a couple skulls along the way. Like the past ones, I expect to move at the last minute. @Bettina-Löffler Why don't we buy out Sky King this time? 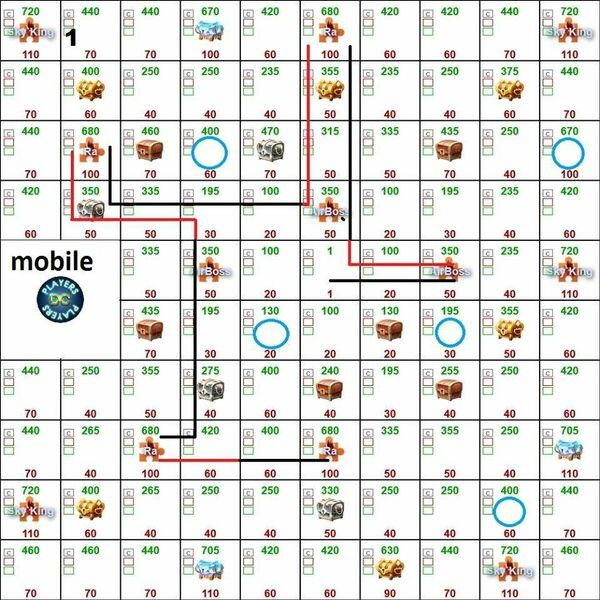 Is the last piece more expensive than the walk? @tom13 Yes. Last piece is 3500 coins. Walking there is cheaper. One more map. This is for Ra only and all skulls. 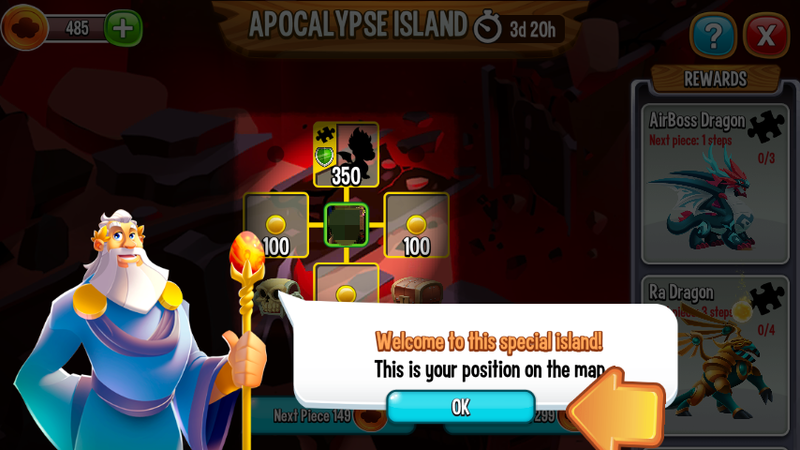 Finally we found something that's free and useful on Apocalypse Island! Ra and 5 skulls cost 10056 if we skip the tutorial and 10156 if we can't. 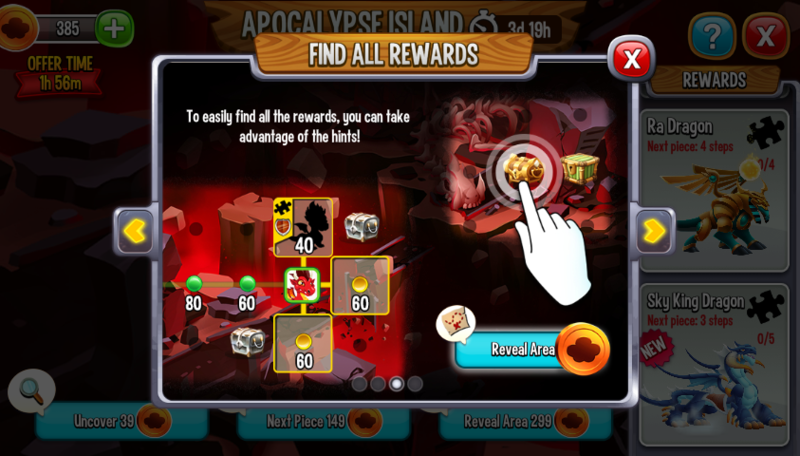 Remember we can collect 10080 coins in total (without freebies). 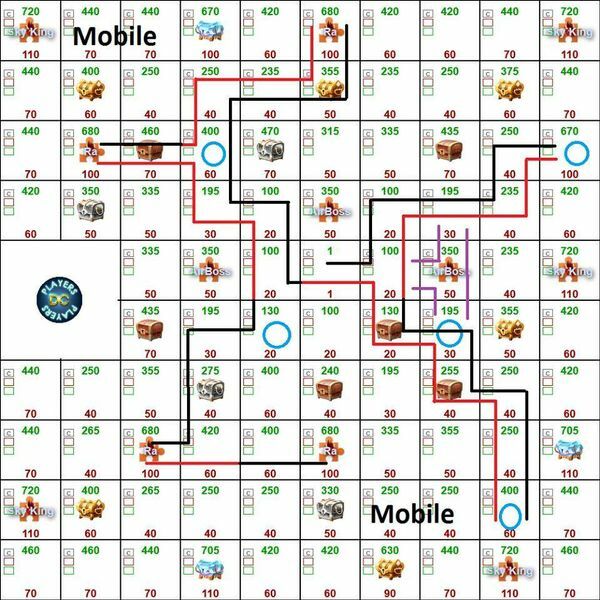 Legend: as always we start at the tile '1' at the center of the map. Black line is foward, red is backtrack, blue circles mark the skulls. Purple line is the route for tutorial. I'm gonna go for RA and all skulls though, what did you mean by the Purple line? your sentence got cut off I see? "Purple line is the.." ? 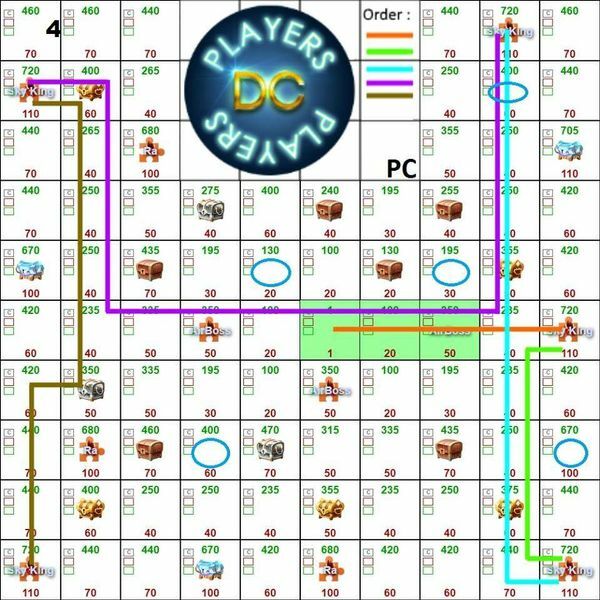 @Janna-Bakker Purple line is the route for tutorial if you can not skip it. 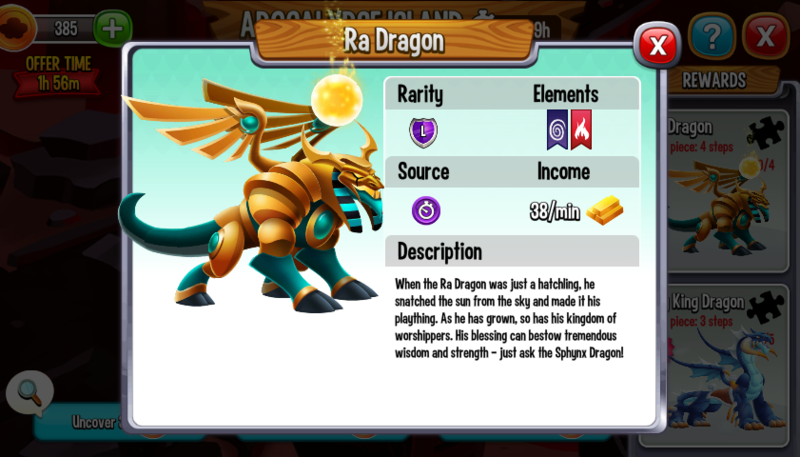 Anyone know if you can get just Ra and Sky King & just skip the skulls? One more map. This is for Ra only and all skulls.! 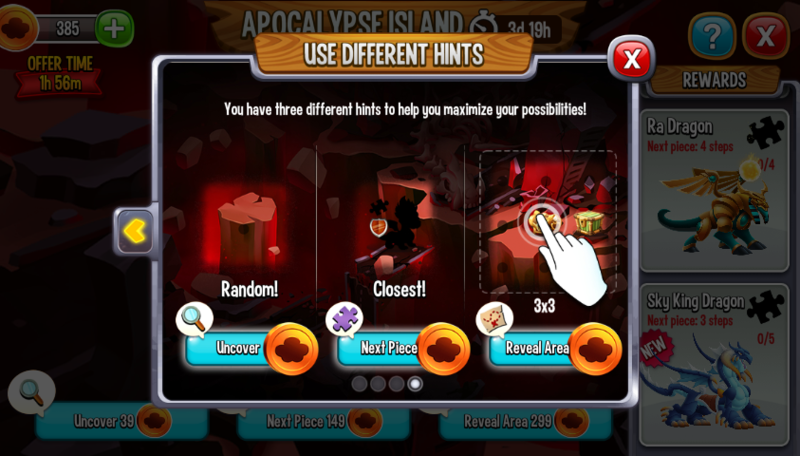 Finally we found something that's free and useful on Apocalypse Island! 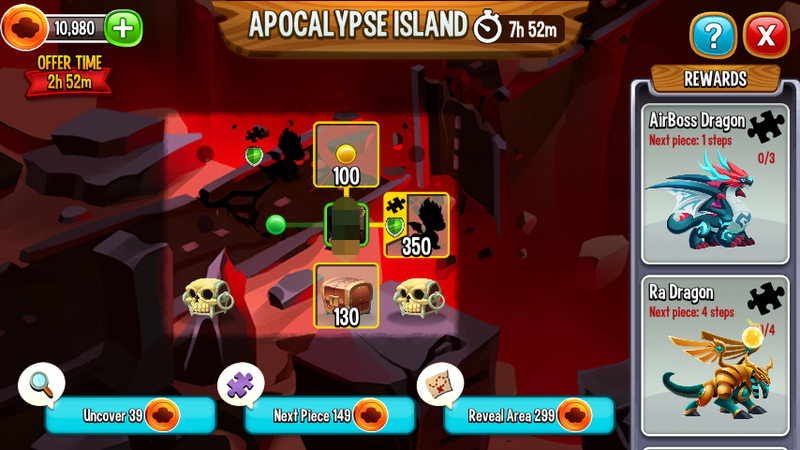 Ra and 5 skulls cost 10056 if we skip the tutorial and 10156 if we can't. 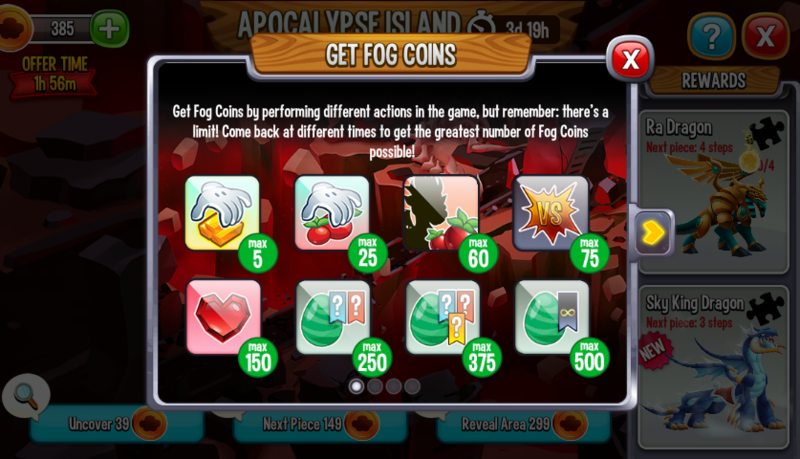 Remember we can collect 10080 coins in total (without freebies). 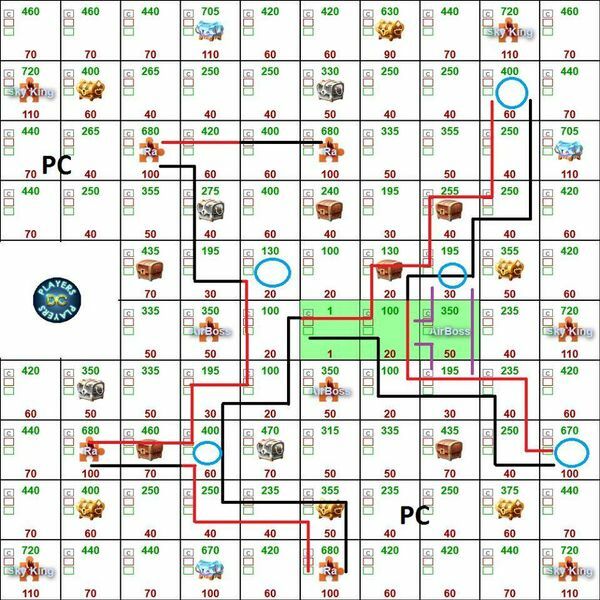 Legend: as always we start at the tile '1' at the center of the map. Black line is foward, red is backtrack, blue circles mark the skulls. Purple line is the route for tutorial.! This map is what I was exactly looking for. Meh, I don't need nor want any skulls, sick of having to go through a path that's detrimental to my goal and with Sky King out of reach, resources will be my aim once again. 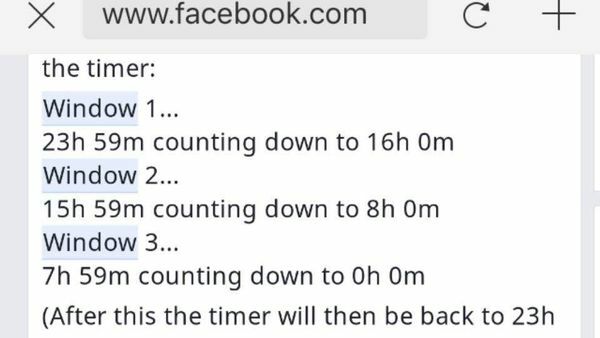 @Armistice I will wait with walking until last collection is done and last trailers are watched. Perhaps it is possible to get enough. Yeah, I still plan on a last minute move, I've been getting lots of coins from the cinema too, so we'll see in the next 24hrs if I have a shot. @Armistice I started my own. I have one more question, around what times do the coins reset which you can get from collecting gold/food/breeding etc? Open the questwindow. 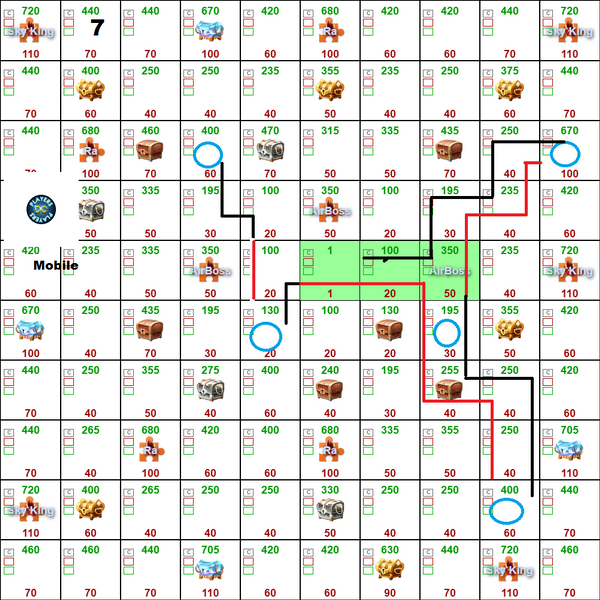 In the lower left corner you see the timer(first picture). This timer started with 20days,23hours,59seconds. It will count down to 00d 00h 00s. You have three timewindows of 8 hours every day to collect 600 questpoints (second picture). So you have 8 hours to collect the full amount of points. After that time a new timewindow will start and you start collection for the next 600 points. So it is possible to get ready with collecting 600 points ten minutes before the window ends and then after 10 minutes collect again 600 points because the next timewindow started. Just bring the time the timer shows in relation to the time your clock shows and you find the times for your timezone. I hope this is helpful. @Janna-Bakker See what Armistice answered. The only change for this quest is that it is 800 coins for each collection not 600. @Janna-Bakker It is the same for all apps. 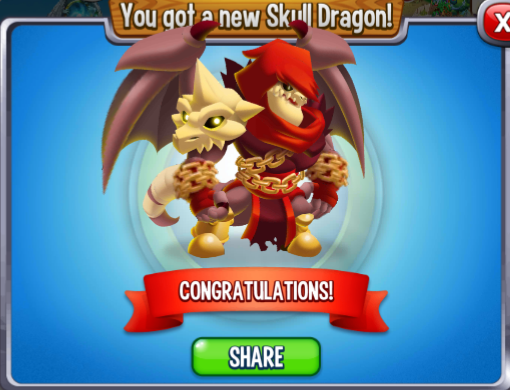 Well I screwed up some how and so I'm not gonna be able to get sky king...not sure where my mistake was but I did at least get the Skull dragon and Satanny. The extras are to make it even. Great going! 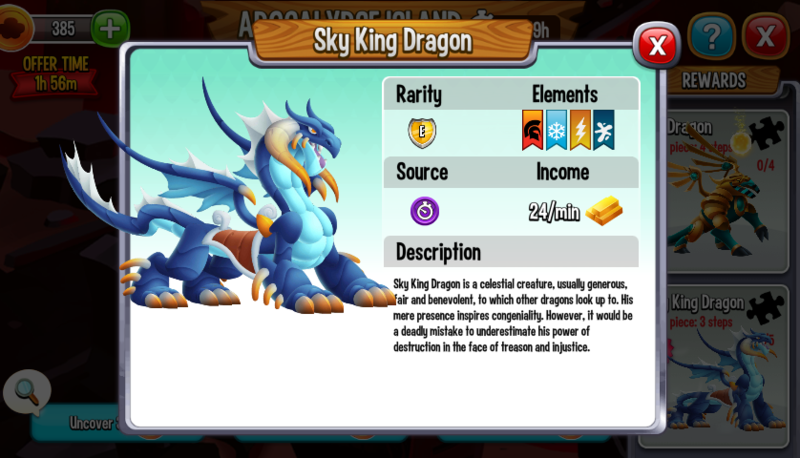 I fell short of a couple coins needed for Sky King. 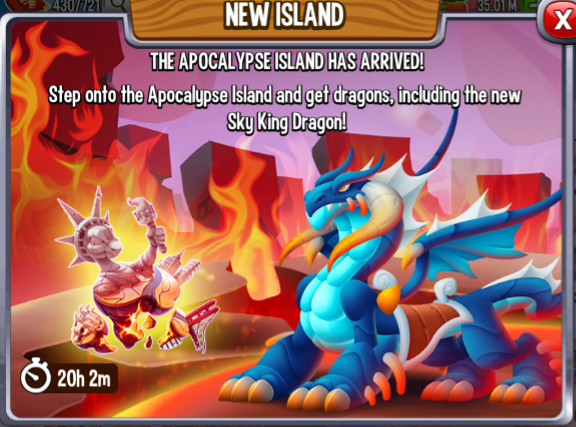 So, Trailer Island decided to break today, so even if I can get it to play something, not gonna be able to get the Sky King (10530 coins earned). 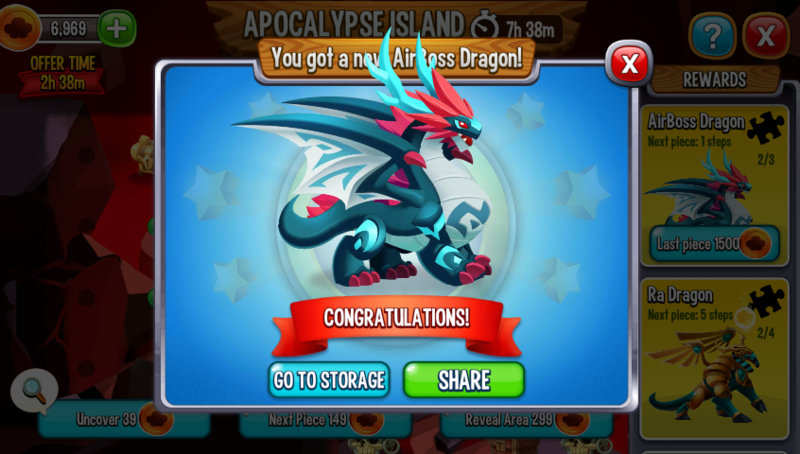 Might as well get another Ra (got one from a previous event) and the last 3 Skulls I need to get the Skull Dragon, as already have a few AirBoss from trailers a while back. 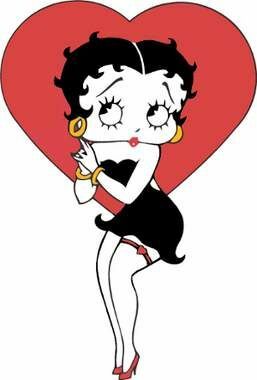 Also, hi! 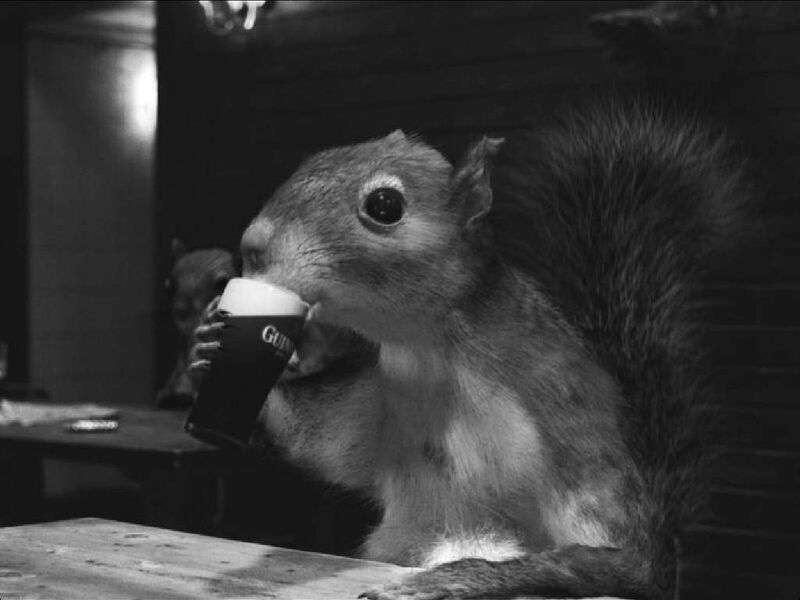 Just joined the forums! 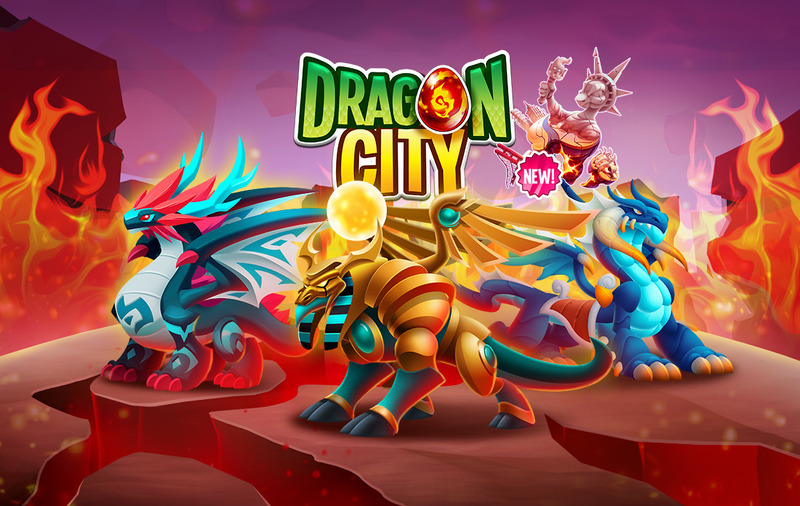 I've got Double Ice, Monstrous, Skulls and Ra dragons from this event. 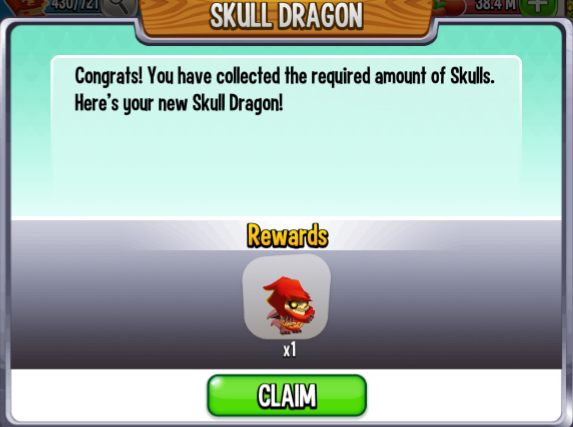 I have 16 skulls in the inventory and had to pay 3 crystals to accelerate last fight for Monstrous dragon which is not a big deal. All in all the end result is very satisfying. Very disappointing island; I got no dragons. 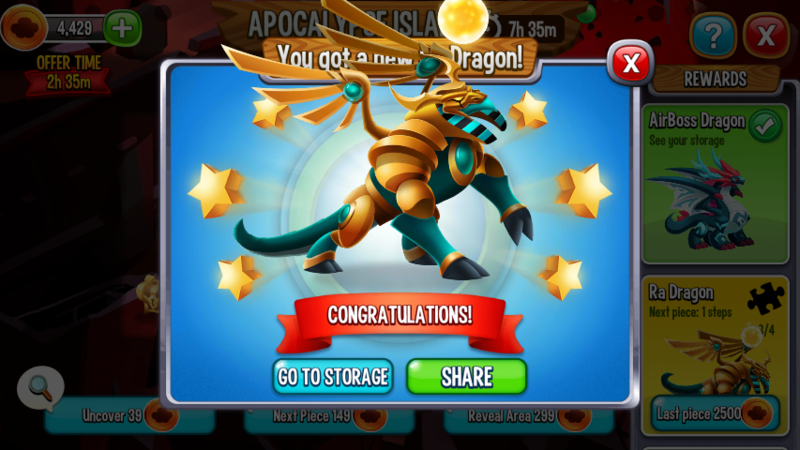 Since I couldn't get any dragons I didn't already have, I went for resources. All the diamond chests, plus a bunch of others only netted 10 gems. In this type going for resources sometimes costs you more than the effort.